When it comes to choosing the best pets you could keep, rabbits are surprisingly one the most rewarding – if you take the time to learn their quirks and allow them to get to know you. Unlike puppies, which take to you only after a few days, rabbits take a little longer to trust you. But when they do it is all the more rewarding. Rabbits are also highly sociable creatures that don’t just enjoy but actually crave contact and interaction with their human caretakers. And will often hop over to see what you are doing and give you a little nudge, which is rabbit for ‘hello’. But like most pets they do require some care. Besides tending to their grooming and health needs, you must provide the RIGHT food as well as spacious, safe, & clean quarters. Daily physical and mental stimulation in the form of exercise or play is also necessary to prevent a rabbit from becoming, overweight, bored, depressed, or aggressive. Because, the sad thing is, many rabbits are left to languish in small hutches because they’re not always understood by their owners. If you are new to rabbit pet keeping, this guide is for you. It covers everything from creating the perfect home to diet & nutrition to general rules of routine rabbit care. A rabbit does not have the option of hitting the gym to keep fit or heading out to catch a movie with friends. Home is where your rabbit will be most of the time. So, it is important that you get it right. Just like in your actual home, safety, comfort, space, and entertainment are the things you should be aiming for in your rabbit’s house. But, before you get down to choosing the perfect home, there is one important decision you need to make – indoor or outdoor housing? Traditionally, rabbits are kept as an outdoor pet and with good reason. 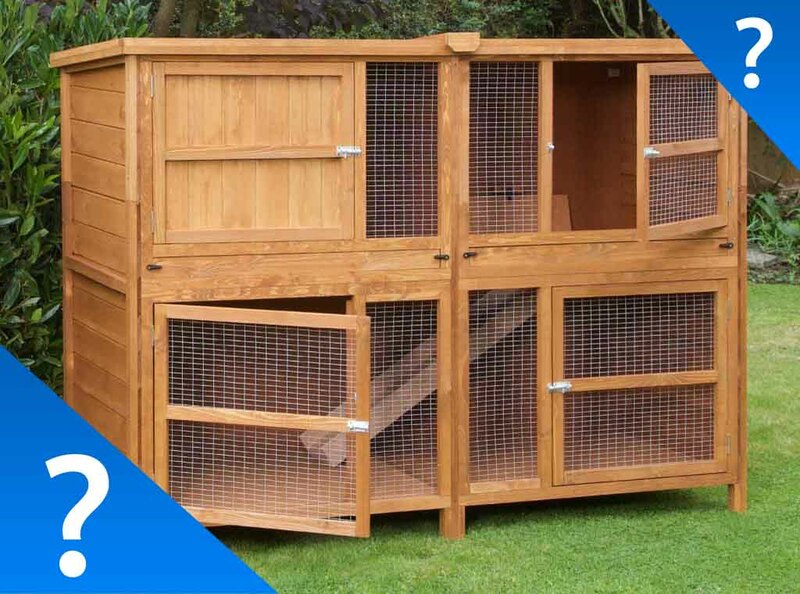 The great outdoors offer you a ton of space, which you can make good use of by providing a big rabbit hutch or shed and run that will satisfy both the physical and mental needs of your bunny (you can read our in-depth guide on hutches here). Rabbits are not meant to sit still all day. They love to hop around and explore their surroundings by digging, burrowing, and even chewing things. It is through these activities that rabbits get some much-needed exercise to keep them fit and healthy. Jumping around and exploring is also how rabbits have fun, so the more they do that, the happier they will be. With an outdoor house your little bunny will get access to space, fresh air, grass, dirt, and natural scenery, all of which allow for a normal rabbit life of jumping, digging, and exploring. You should also know that keeping a rabbit outdoors also comes with a few risks. Even if you have a spacious or well-built outdoor rabbit house, your bunny is exposed to harsh elements like cold, rain, high winds, and parasites that can cause diseases. So, you will have to keep a regular eye on your rabbit to ensure it remains healthy and infection free. You will also need to make sure your bunny is well-shaded in the summer and warm in the winter. Try to position the hutch in a shady area that is protected from the wind. Predators are another risk. You may love your cute pet bunny to death, but to a good number of animals including foxes, dogs, hawks, cats, and even owls, rabbits are food. These animals will try to break into your rabbit’s house. However, this disadvantage is not a deal breaker as there are plenty of strong rabbit hutches and sheds that are designed to keep predators from getting in. Plus if your garden is fenced in the chances of a predator entering diminishes. Outdoor housing also keeps rabbits isolated, which is the worst thing that can happen to these social creatures. For a rabbit, isolation leads to loneliness that can easily escalate to depression, detachment, or even aggressive behaviour. Luckily, making regular visits out to your rabbit to play or getting a companion bunny can help with this problem. With indoor housing, a rabbit can either be confined in a cage or left to run free in the house with a litter tray set aside somewhere. The biggest benefit of keeping a rabbit indoors is that you get to eliminate the risk of attack from predators. Unless you have rowdy pets or toddlers, your rabbit is very safe inside your home. 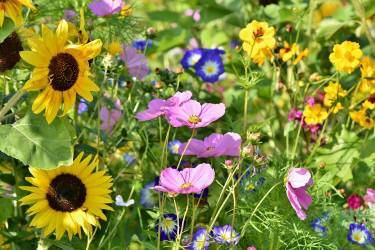 Diseases can also be kept at bay since exposure to outdoor elements is reduced. What’s more, it is easier to keep a close eye on your rabbit to monitor any changes in behaviour that could indicate underlying health issues. If you notice you rabbit stops eating and/or does not move around much take them to the vet immediately. Rabbits are prey animals so won’t often show illnesses the same way other animals do. In effect they try to hide it. Regular contact with your rabbit will ensure you notice any changes in behavior. Another huge benefit of indoor housing is that it provides a great environment for your rabbit to thrive socially. Being surrounded by humans means the rabbit will be showered with a lot of love and attention. This increased level of interaction will improve the rabbit’s mental health while allowing you the joy of fostering a closer and more rewarding relationship. Throw in regular play and toys and you will have one very happy bunny in your home. 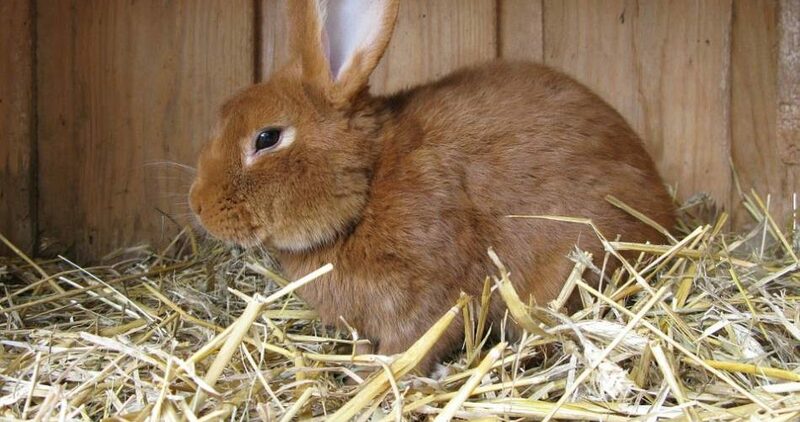 A pet rabbit that lives among people will also be highly sociable, more friendly to visitors, and easier to handle. The only negative aspect of keeping rabbits indoors is that your home stands as a huge beautiful world waiting to be explored. 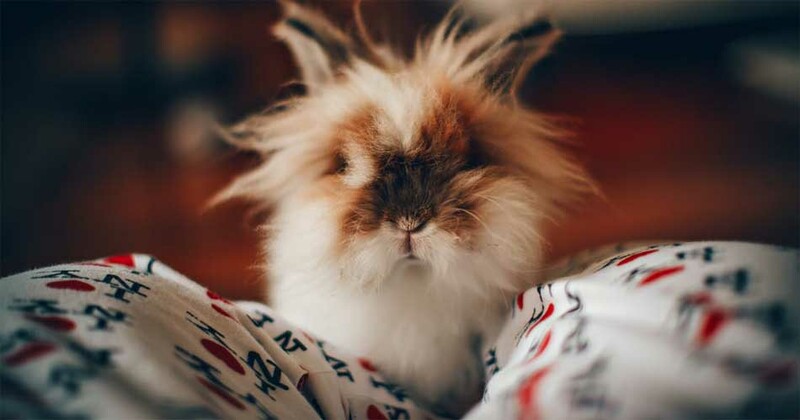 Your rabbit will chew through cords, rugs, houseplants, and any available woodwork or dig into the pantry, couch, mattress, and your clothes. Pretty much everything in the house will either be chewed, burrowed into, or torn apart. This calls for rabbit proofing the house beforehand. Tape up electric cords and sockets. Cover up any exposed wood and toxic plants as well. In addition, block access to areas where you do not want your rabbit to go (e.g. kitchen). Providing your rabbit with toys like tunnels, cardboard boxes, plastic balls or wood items to burrow and chew through is also necessary. It will keep your rabbit fully engaged in other activities and therefore prevent the little guy from turning to your furniture for entertainment. Another simple solution is to designate a ‘rabbit room’ that you will then lock up to prevent your fluffy friend from escaping into the rest of the house. As long as you provide proper care and companionship, rabbits can live happily indoors or outdoors. So, the choice between indoor or outdoor housing comes down to personal preference. However, some instances can push you to one side. For instance, you will have no choice but to keep your pet bunny outdoors if you live in a small house, an apartment with a no-pets policy, or a home with other pets that are likely to attack your precious bunny. Alternatively, if you live in an area full of rabbit predators, indoor housing could be more suitable option. 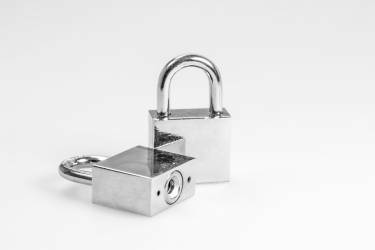 Safety is the first and most important feature to have in a rabbit’s home, especially if you have decided to go with an outdoor hutch. The hutch you choose must be able to protect against predators as well as bad weather. Generally, a well-built hutch will come with a few essential safety features starting with 2 separate areas for sleep and play. Ideally, the sleeping area should be enclosed to provide a secure resting space and nice hideout when your bunny gets spooked or simply wants to be alone. 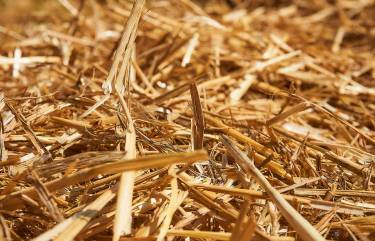 It should also be in a high area where rising dampness from grass cannot get in. For the run or play area, galvanized wire mesh walls are the best design choice. 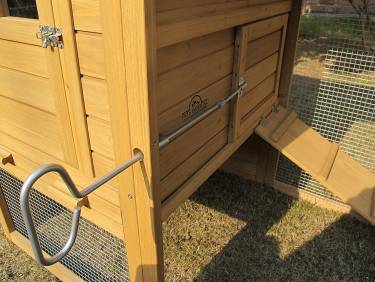 Such partitions let in fresh air and light, give your rabbit a clear view of the outside, and provide a protective barrier between the inside of the hutch and the outdoors. The entire hutch itself must be of quality construction with sturdy materials, a weatherproof roof, and bolts, locks, or secure padlocks to keep curious rabbits in and predators out. Given that rabbits rarely sit still, it is important that they have plenty of space within their home. Remaining cramped in small spaces can lead to all manner of problems including obesity, muscle wastage, spine problems, and bone deterioration. Essentially, a rabbit house (indoor cage or outdoor hutch) must have enough space for the animal to lay in a stretched out position, stand up, and hop around (at least 3 hops in any direction). Keeping to this notion, the minimum recommendation for space is put at 6ft long by 2ft wide by 2ft deep for the sleeping area and 8ft x 4ft x 2ft for the run. You will need even more space if you will be adopting more than one rabbit. As for an indoor cage, dimensions of 6ft x 2ft x 2ft should be enough, since you can always let your rabbit out to play around the house or out in the yard with adult supervision. Please note: A hutch is NOT enough room alone. You must ALWAYS get a large run so you rabbit can run freely and have some fun! It does not take much to provide a comfortable home for your rabbit. Just make sure that the house structure you choose is properly ventilated (large open-and-shut windows, chimneys, etc) to prevent the interior from getting too hot during summer or too cold in winter. The floor should be flat, level, and of solid material. A wire mesh floor is a huge no because it can cause sores in your rabbit’s feet or worse, exacerbate hock problems to a serious enough level where amputation becomes necessary. You can also increase warmth and comfort in your bunny’s lair by covering the floors in the upper part of a hutch with newspaper and shredded paper or hay. We’ve reached the end of part 1. In this section we’ve covered the basics of keeping a rabbit in your home or outdoors and what you need to do to keep your rabbit safe and happy. In the next part we’ll cover what and how much to feed your rabbit, general grooming tips and what regular checks and parasites you should check for. You can read part 2 here.